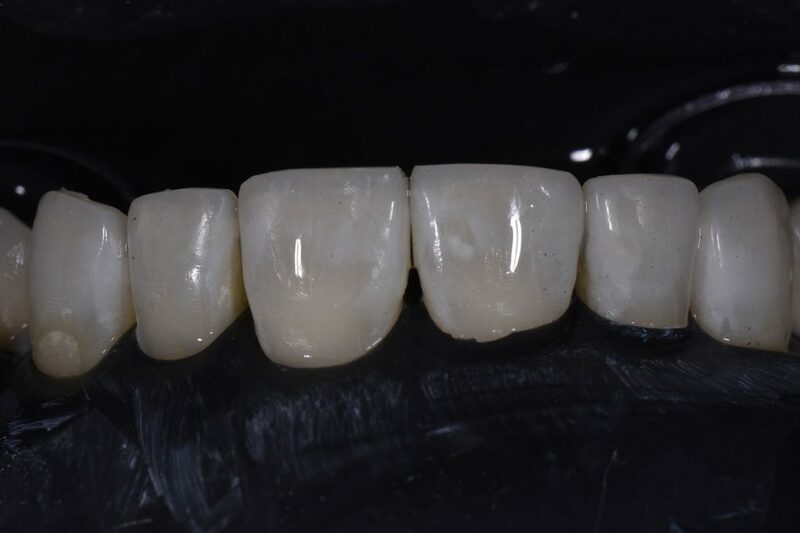 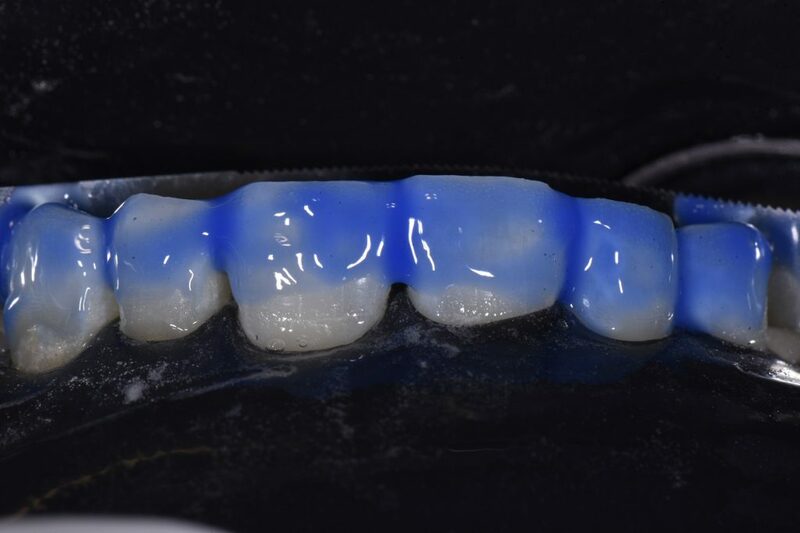 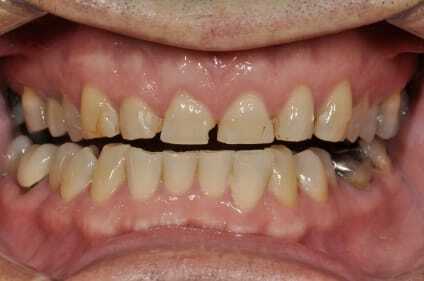 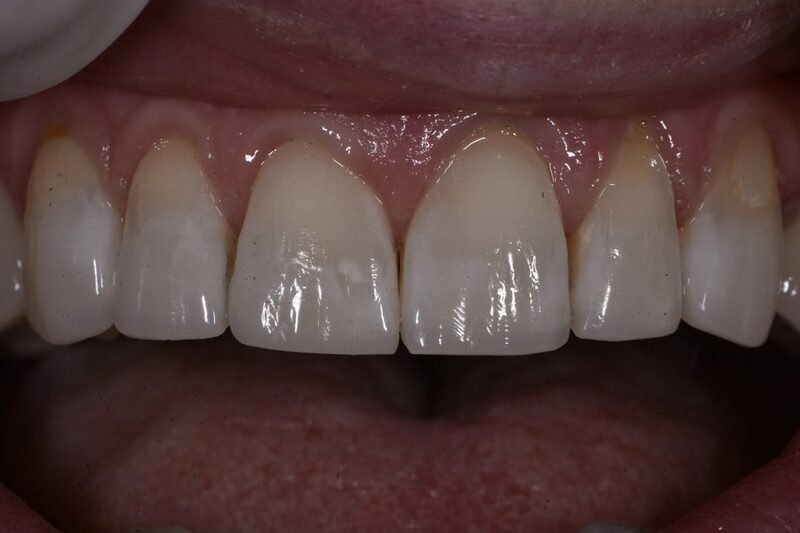 The incisal edges of the Social Six were rejuvenated using a virtually no-preparation bonded technique utilizing Optibond Solo Plus and Kerr Harmonize. 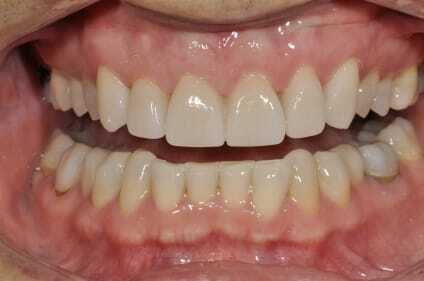 The forms were freehanded, with significant incisal lengthening completed, particularly of the canines. 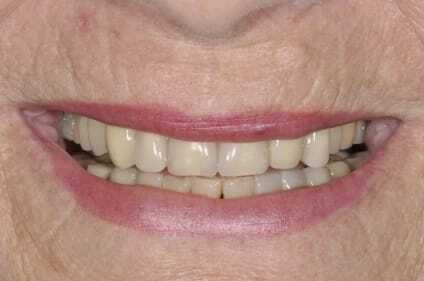 Note that the teeth are significantly dehydrated. 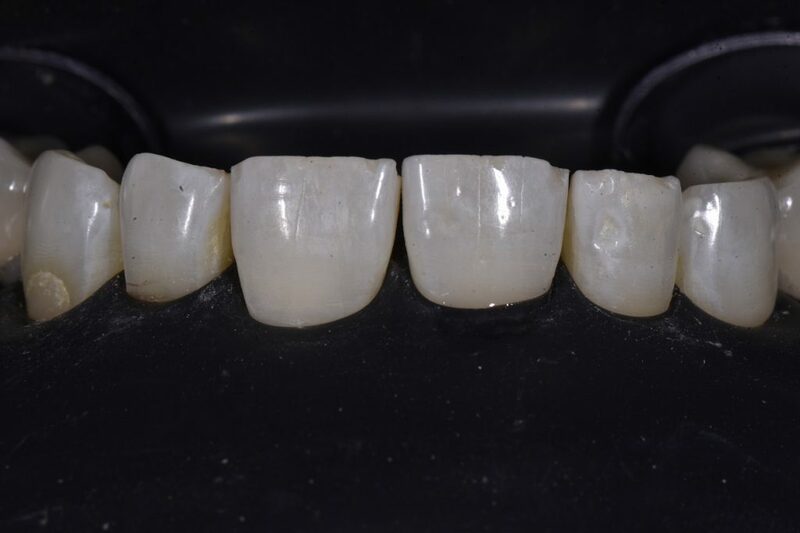 A Sanctuary black latex rubber dam was used in conjunction with Hu-Friedy #2 Blackline clamps for isolation. 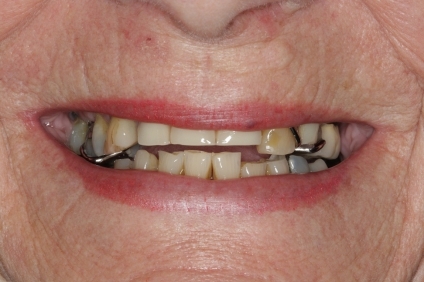 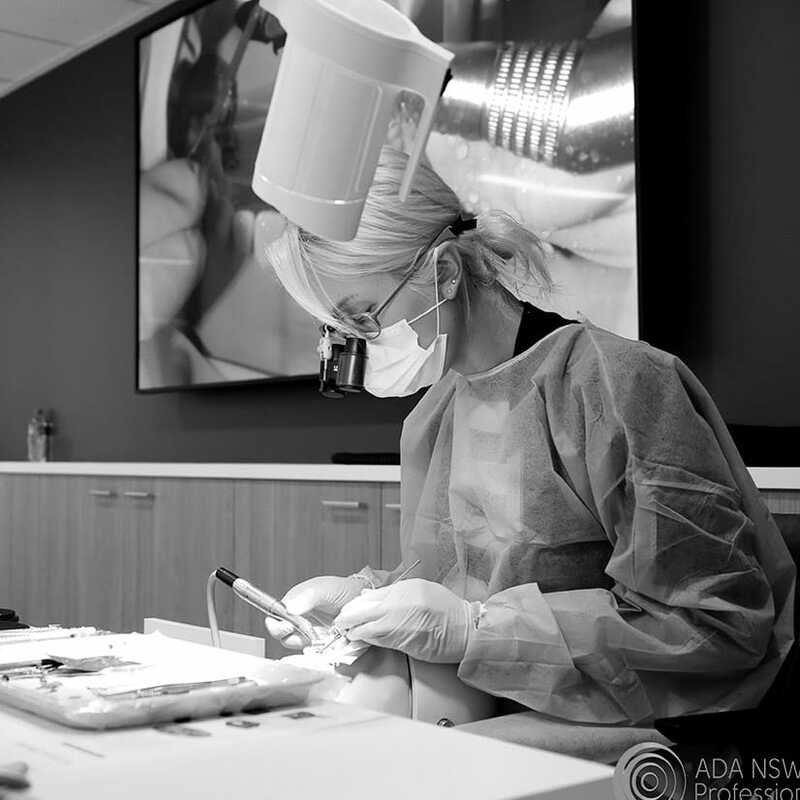 Cervical restorations on 22 and 23 were elected to be left for now by the patient, as she has low lip dynamics.